Ladies and gentleman, we’re coming back at you from Kilimanjaro. It’s the 4th of January, 2014. Happy New Year everyone! We are here on Kilimanjaro with our new Team for the new year, the Poole family, Senor David Lindsey. 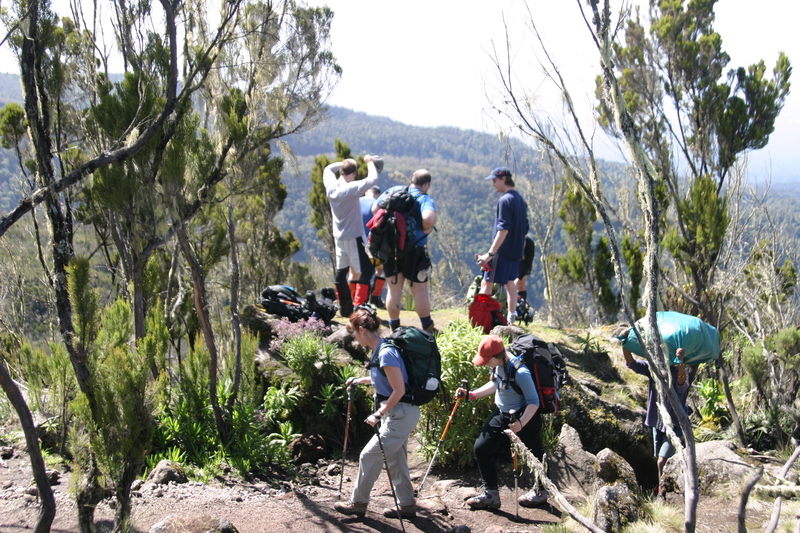 We’re all hanging out at Machame Camp (10,000 feet above sea level) having had a sunny, warm, wonderful, happy day hiking up here. Today was the first day. We’re psyched. We’re hoping the sun is out and about tomorrow and that we will continue to roll along having just a joyous time. We’ll give you all a call from Shira Camp (at 12,500 feet) tomorrow. And we’ll work on an official Team name.